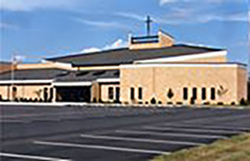 In an emergency, follow the after-hours instructions at the main Parish number: 317-257-4297. If you wish to meet with a particular staff member, we encourage you to make an appointment. Thank you. Our bulletin deadline is Monday at 8 a.m. We have early deadlines around holidays. We encourage you to submit information as far in advance as possible for planning purposes and because of limited space. Submit your information to our bulletin editor.